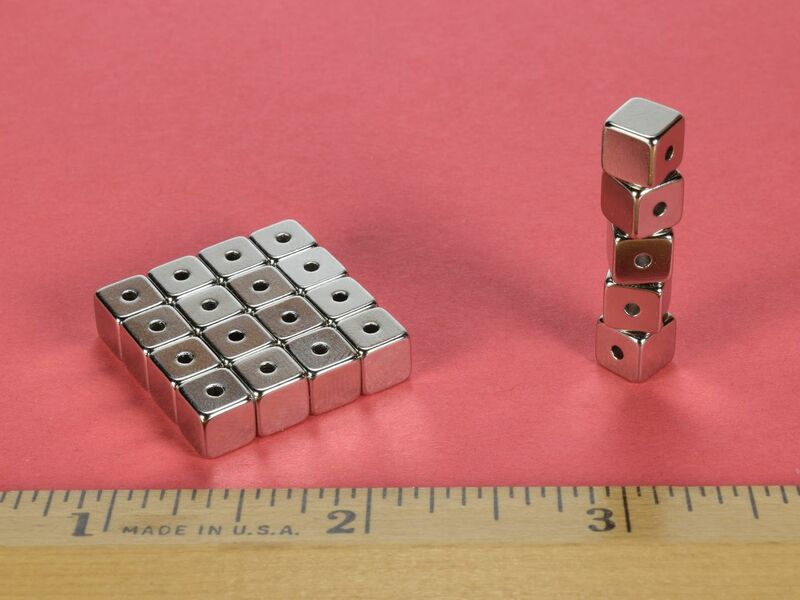 These handy 1/4" cubes have a 1/16" hole through the center which is perpendicular to the magnetization direction. This means that the poles are located on two opposing sides without the holes. 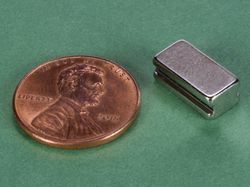 Great for suspending metal objects from a string tied to something a magnet wouldn't normally stick to. They can also be used to hang a string from a drop ceiling or steel beam. The string can be knotted or looped through the cube to secure it. 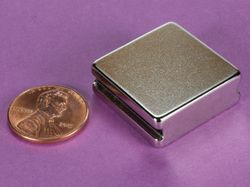 These amazing little cubes have thousands of uses. 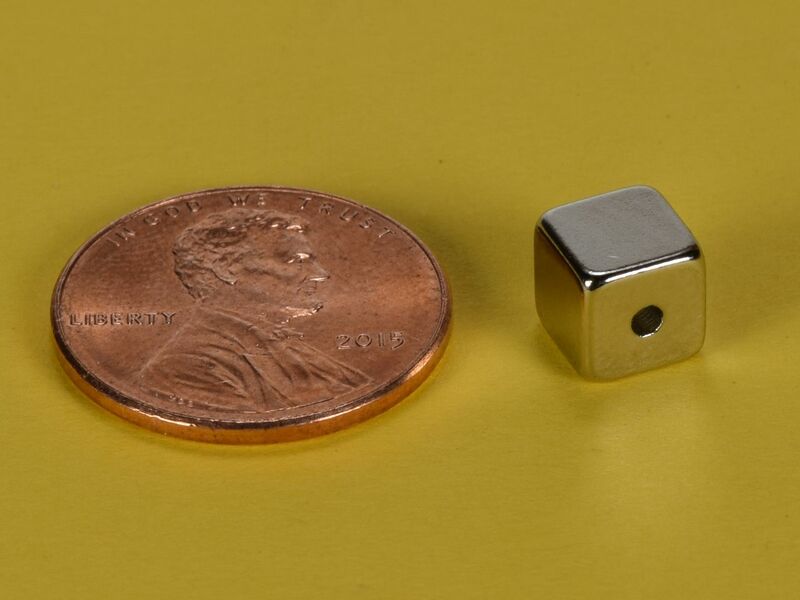 This size is also available in grade N52 as part number B444-N52, in grade N42 with a Black Nickel plating as part number B444B and in grade N42 with our standard Nickel plating as part number B444.